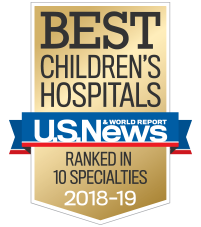 Our Pediatric Intensive Care Units (PICUs) are staffed with specially trained physicians and nurses who provide comprehensive, compassionate care to critically ill children in a specialized environment. Our state-of-the-art pediatric intensive care units are staffed around the clock with physicians and nurses who are specially trained in caring for critically ill children. These experts are dedicated to meeting the needs of each child and their family from admission through discharge and post-hospital care.